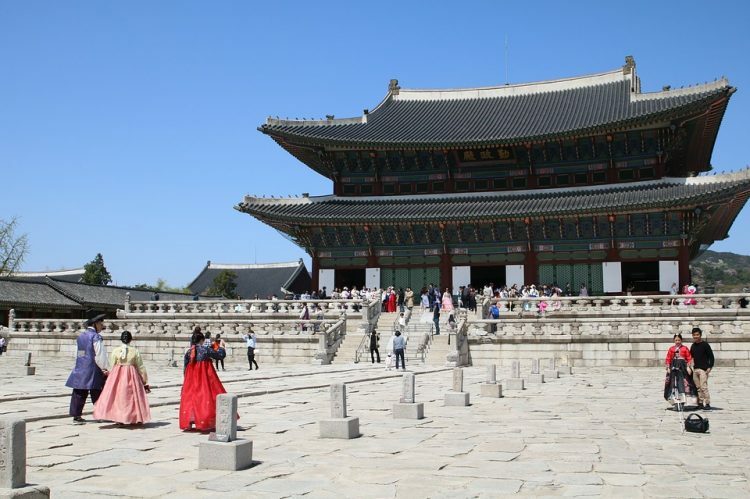 We’ve found very cheap flights to beautiful Seoul (South Korea) with fares less than 500 Euros including luggage. With the SkyTeam member KLM & Air France, travelers now can book cheap flights departures from Dusseldorf, Hamburg & Munich (Germany) to Seoul in South Korea with the fares start at only €434 for a round-trip (1 × 23 kg checked baggage are included). Seoul, the capital of South Korea, is a huge metropolis where modern skyscrapers, high-tech subways and pop culture meets Buddhist temples, palaces and street markets. Actual availabilities for the best price but we have found only from November to mid-December. The minimum stay is 6 days, maximum you may spend 3 months at the destination. Please note: Baggage allowance may vary according to route, code share regulations, frequent flyer status and cabin class; please check the exact baggage regulations printed on your ticket. To get the flight deal you can use this flight search box, just enter the travel dates, departure city, destination like above and select the flight class, we will find the cheapest flights for you. Of cause you can adjust your departure and arrival cities as well as your desired dates of travel. You can use also: Kayak, SkyScanner, Momondo, CheapTickets or Kiwi to book the flights. Please note: Prices and availability may change very fast. Seoul, the capital of South Korea, is a huge metropolis where modern skyscrapers, high-tech subways and pop culture meet Buddhist temples, palaces and street markets. Notable attractions include futuristic Dongdaemun Design Plaza, a convention hall with curving architecture and a rooftop park. Please note, all the information on this page are accurate at the time of publication. Viewing this deal at a later date, prices and deals may change due to utilization of the contingent. Click here to never miss a World Traveler Club Deal again. If you have a question or you need an individual travel deal, please use our travel forum. You want more deals like this? As a World-Traveler-Club Gold or Platinum member you have access to over 700 amazing travel deals per day! Sign up for one of our membership plans and become a member of the WORLD TRAVELER CLUB ! Please "like" us on Facebook and follow us on Instagram and Twitter. Fly with Condor Airlines from Frankfurt to Kuala Lumpur, Malaysia from €429 (round trip). China Air is offering cheap flights from Zurich (Switzerland) to Taipei (Taiwan) from €349 (round trip). Good flights from Frankfurt (Germany) to Hanoi (Vietnam) from €322 (round trip).